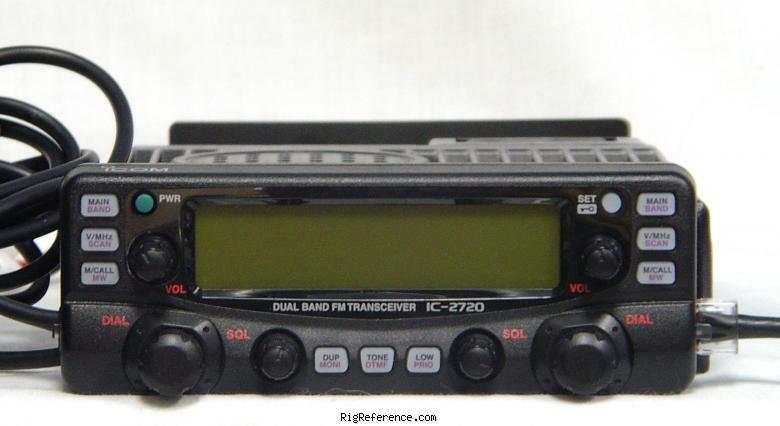 The ICOM IC-2720H is a 2 meter / 70 cm dual bander. It features a separate front panel, wideband receive, 3 power settings, built-in CTCSS decode/encode, selectable amber/green display, PC compatibility and 212 memory channels. Power output is 50/15/5 watts on 2 meters and 35/15/5 watts on 440 MHz. The 2720H supports cross-band repeat. It is 9600 BPS packet ready too (6 pin DIN). The 2720H also includes a built-in duplexer, full function backlit HM-133 remote DTMF hand mic, MB-84 remote controller mounting bracket, separation cable, radio mobile mounting bracket, OPC-1132 9.8 foot DC power cable and spare fuses. Estimating the value of a rig can be challenging. We collect prices paid by real hams over the years to help you estimate the current value of the ICOM IC-2720H. Just bought or sold this model? Let us know what you traded it for and help other ham operators!